FLATS FOR SALE IN NARSINGI,GACHIBOWLI,HYDERABAD. GATED COMMUNITY.TOTAL 7 BLOCKS--850 FLATS. AVAILABLE ONLY IN BLOCK C-2. 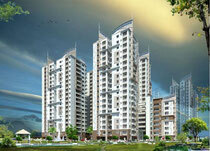 3 BHK FLATS--1800 SFT--65.00 LACS. Wipro, ISB, ICICI bank, Infosys, Wave Rock, Microsoft, CA etc are situated. The key educational institutes like ISB, IIIT, , CBIT, MGIT, Vasavi and ESCI are also in close proximity. FLATS ARE AVAILABLE IN 2540, 2630 & 3380 SFT.